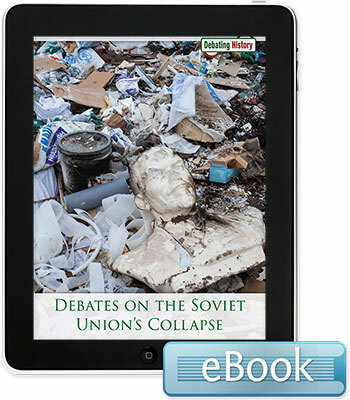 The collapse of the Soviet Union in 1991 remains one of the most significantand controversialevents of the last fifty years. The Soviet Unions breakup has been attributed to many different factors, from the costly war in Afghanistan to the Cold War arms race with the United States. Through a narrative-driven pro/con formatsupported by relevant facts, quotes, and anecdotesthis book examines controversial issues stemming from historic events. Topics include: Was the Soviet Invasion of Afghanistan a Key Factor in the Soviet Unions Collapse? Did the Arms Race Cause the Soviet Unions Collapse? Did Gorbachevs Reforms Make the Soviet Unions Collapse Inevitable? Is Todays Russia More or Less of a Threat than the Soviet Union Was?